From the 18th until the 22nd of March, K.A.NE. 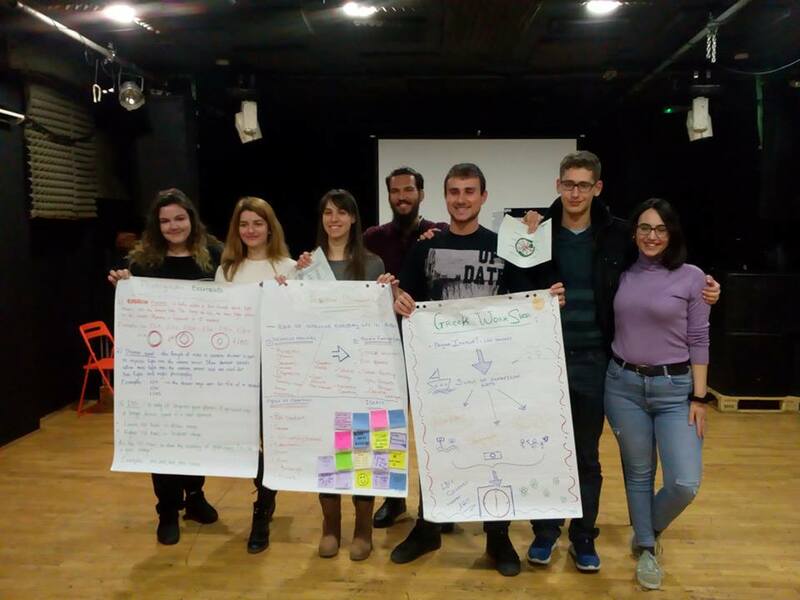 has sent six youngsters and one group leader Greek participants to be a part of the “SAY:Street-Activism-Youth” youth exchange. The exchange took place in Karlovac, Croatia and is was hosted by KA-MATRIX. The main aim of the project was to find ways to revitalize public spaces through art and activism, by means of non-formal education. «The art was always a way to be creative and have an impact in your surroundings. 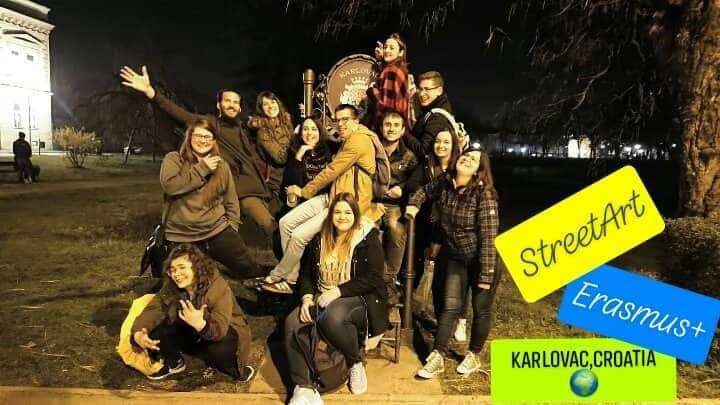 The great Greek team immediately was bonded and participated with success in the youth exchange about street art in Karlovac, Croatia. «S.A.Y. was a wonderful experience for me. 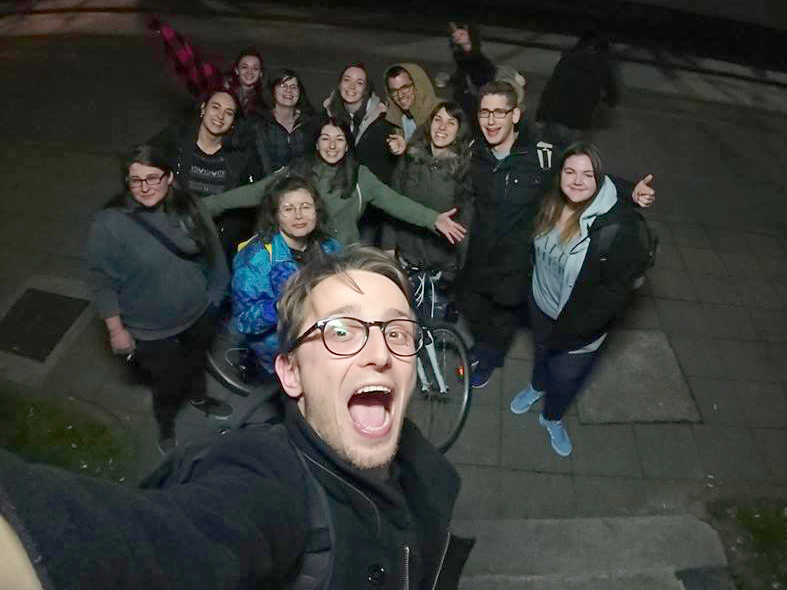 As my first Erasmus+ program, it gave me the chance to meet new people and learn about their culture and their way of life in today’s society. 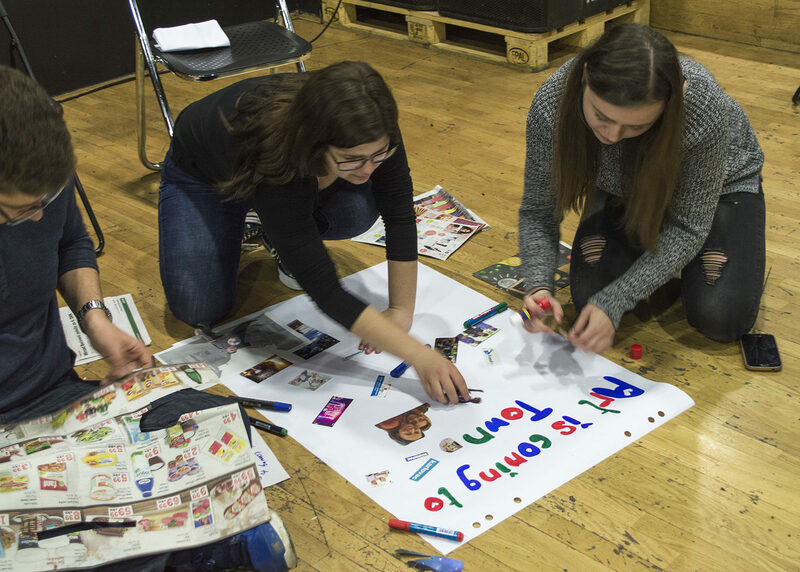 The workshops helped us cooperate and learn from each other, but most of all they introduced us to the amazing street art culture and the things that can be accomplished by it. Street art is connected with freedom of speech, expression and youth restlessness, three aspects that make it an integral part of modern art and artistic activism in the 21st century. One amazing experience came to its end. 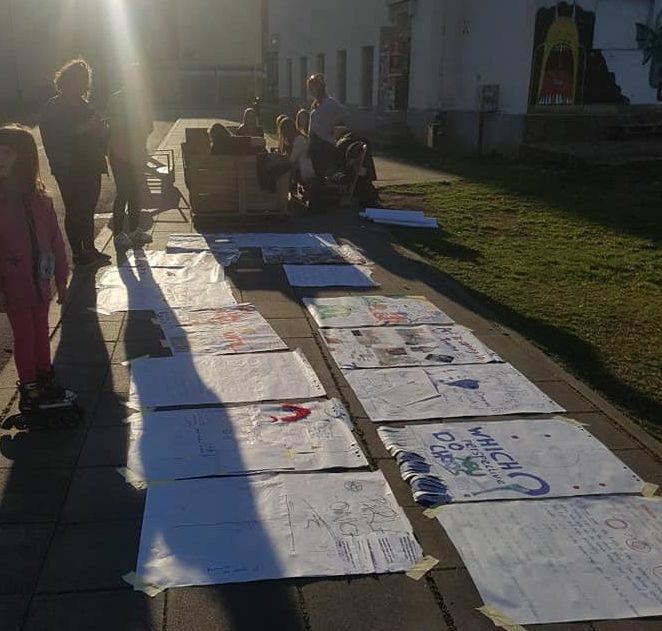 I met so many great friends from Croatia, Poland, and Greece and all together we found ways to improve the beautiful city of Karlovac by street art. I learned about the importance of art in the everyday life, and I can’t wait to apply the results of the project and in my city. Furthermore, I improved my language and travel skills and experienced the fascinating Croatian way of life. Sunday 17th of March, I woke up so enthusiastic about the trip that it was about to begin. Around 6 am I met Stella and Katerina at the airport, my travel buddies. We had a long trip until we reached Zagreb, from where we took the bus to Karlovac. 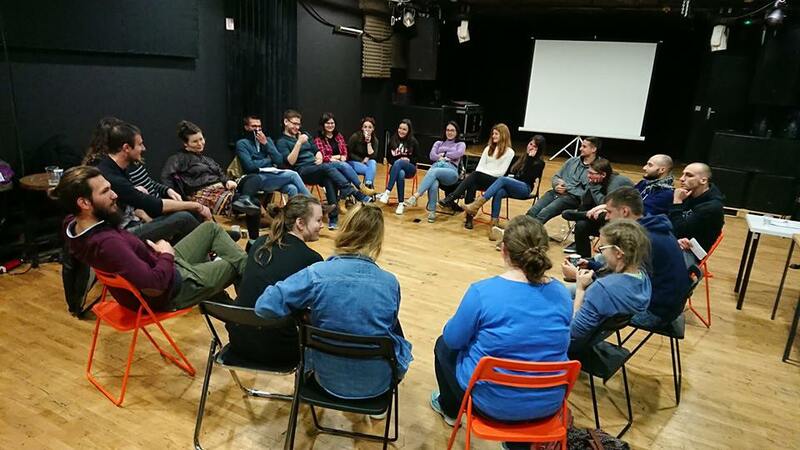 The following day, we started our activities with some ice-breaking games in order to get to know each other among the members of the Croatian and Polish team. We laughed and run a lot during those games. It is worthwhile to note that our activities took place in a special venue of the City of Karlovac, whose name is “Hrvatski Dom” (= Croatian House). The entire building space of the Croatian House is used as a multipurpose building for various forms of independent cultural, artistic and social content based on today’s cultural-artistic and civil-social scene needs. 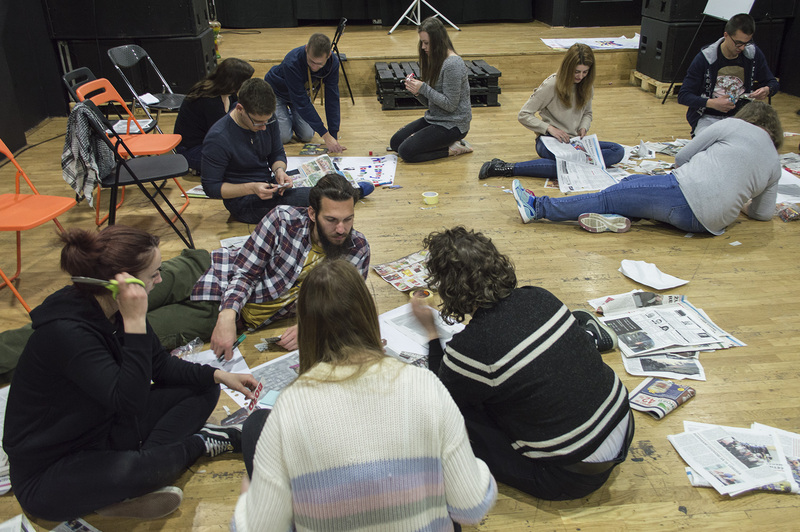 It goes without saying that Mala Scena HD ,our venue, was the perfect location to host our artistic activities. 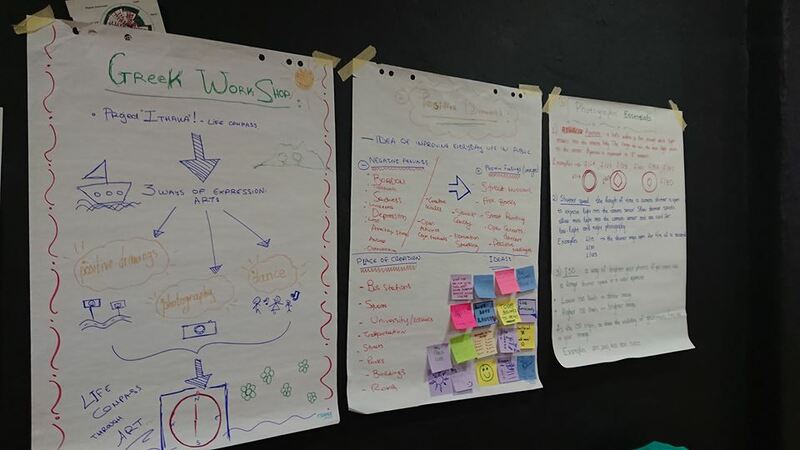 There, not only we had many interesting discussions related to local music, street art and initiatives by means of revitalization of public spaces but also our workshops and intercultural nights. One of the activities that amazed me the most was the photo & story hunt (city game). 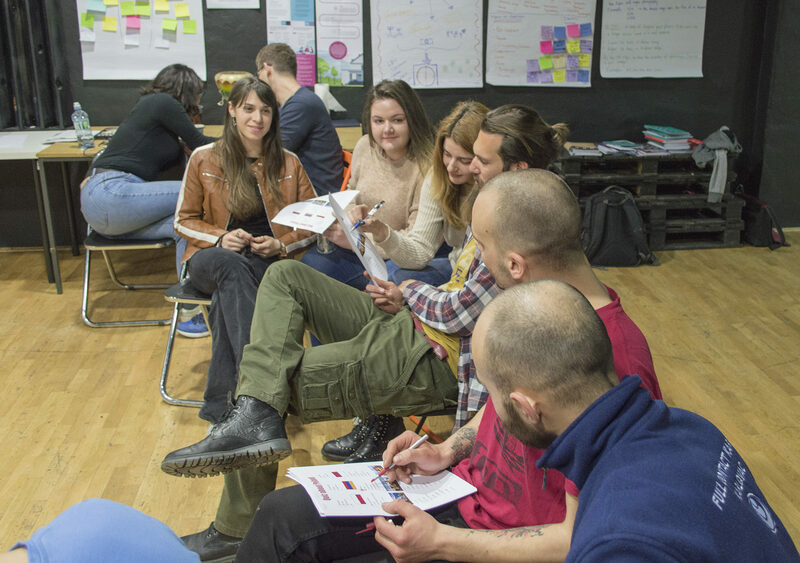 We split into 5 teams, each one of it had 2 members of the Croatian team (locals) as leaders whose role was to show us the hidden gems of the city and the places that need to be revitalized. During that tour we interviewed youth people from Karlovac, listening to their opinions about the street art in their hometown. To be honest during the whole project I was feeling productive and creative. 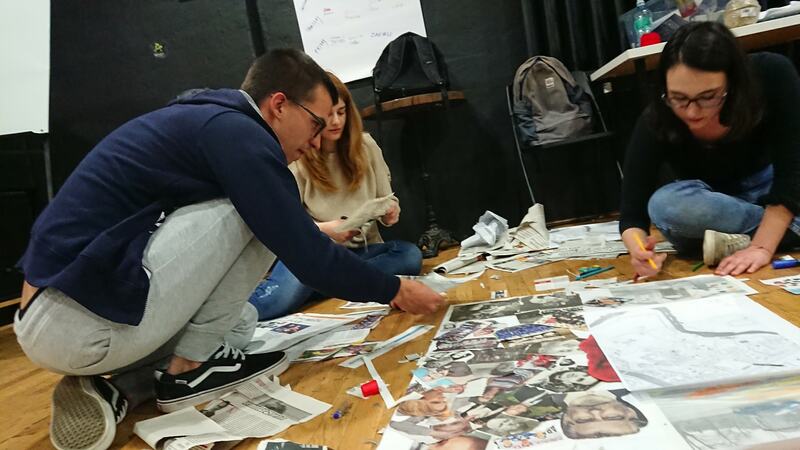 After 5 days in Karlovac I understood that this place has a big amount of youth determined and willing to improve their city through art. Therefore, the ideas that we developed all together by sharing our cultural backgrounds stayed in the local’s hands as a “weapon” for city’s development. Also, through constructive presentations ,I broadened my horizons and my field of knowledge as I heard about artistic approaches that I had never seen before such as Glitch- Art (= the practice of using digital or analog errors for aesthetic purposes by either corrupting digital data or physically manipulating electronic devices ). Last but not least, one of the highlights of the project was the fact that we were close to the nature, doing outdoor activities and being able to practice sports like slackline, thanks to the members of the Croatian team that had the will and patience to explain to us how to do it. We came to Croatia as 21 strangers but we left as 21 truly friends. Thank you K.A.NE. for giving us the opportunity to participate! Thank you KA-MATRIX for hosting us and treating us so well! Wednesday 6th of March. »I am happy to inform you that you have been selected…» Everything started from this e-mail. To be honest I didn’t expect to select me, as it seemed too good to be true. I didn’t lose any time… I communicated with K.A.NE. and they confirmed that I’m gonna travel to Croatia and participate in the SAY project. Everything happened extremely fast… and I just met the team in the airport. We had many hours of traveling so we had enough time to adapt one to each other. 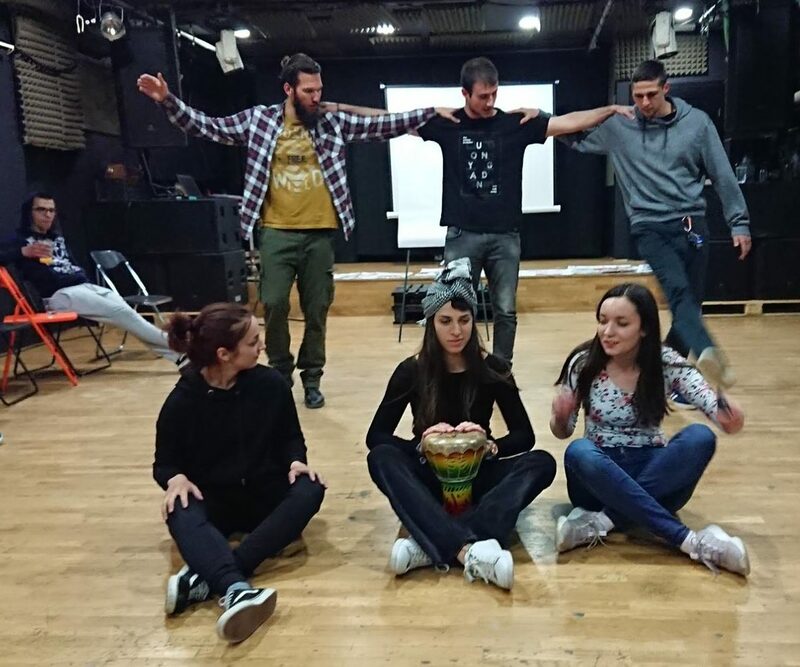 The other day we met in Mala Scena with the trainer and the other participants from the other countries. The days passed super fast… but the memories will stay for a long time. 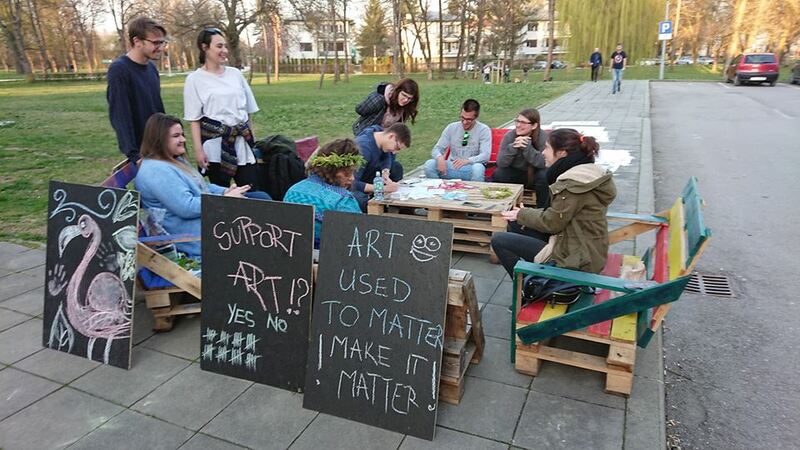 I could write million words explaining what I learned in the »Street Art Project» in Karlovac. Things like… how important is to express yourself through art… or what exactly is street art and who has the right to draw the walls or sing on public places! But I won’t. For me the most important things are those that are not written in the infopack. The multicultural interactions helped me to develop my thoughts and move one step forward in my communication and collaboration skills. The challenges that we had to face made as a team. A team that had the power to talk 3 different languages, and communicate even with silence and work as we knew each other for years and cry when it was time for goodbyes. Nothing of these amazing things would have been the same if we didn’t have the lovely trainer, the energetic participants and of course the sending organization that supported us and solved all of our issues. These non-written details can be included only in our »memory box» with short words written in small papers in Karlovac, with colorful drawings on the streets and some photos shared between us. A great experience between 3 countries… that can be included in a three-letter word: SAY.